i haven't been camping in a really long time, but i was a girl scout for over ten years and the camping was always my very favorite part. i keep trying to talk my mom and sisters and friends into going with me, but i can't find any takers (although zia did say she would take me next time she goes *fingers crossed*). 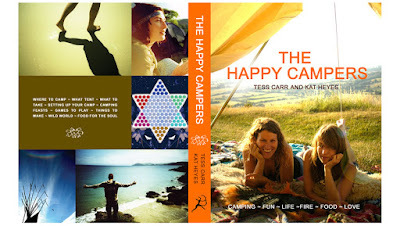 it's possible that camping won't be nearly as fun as i remember, but based on the pictures i saw on kat heyes and tess carr's companion website to their book, the happy campers, i bet my memories of campground magic are just about dead on. these pictures remind me of the lifestyle photography of thayer allyson gowdy, a young california photographer that pdn featured a few years back in an issue about the west coast.